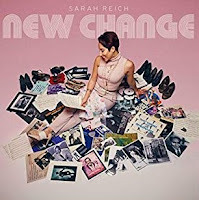 bebop spoken here: CD Review: Sarah Reich - New Change. Seeing a drummer hitting everything in sight at a phenomenal speed is terrific. the sticks a blur, the body language, it's one of those things - nobody ever left a Buddy Rich concert raving about the trumpets or the saxes, good as they were. Likewise with tap dancers. They execute with their feet what drummers do with their sticks. Again, it's not the same on record - or is it? 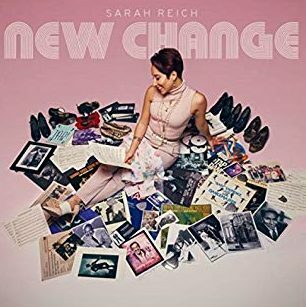 Sarah, performer, choreographer, instructor, composer, and a regular with Postmodern Jukebox could change all that. The way she integrates her pedal extremities into the ensembles is magic - every band should have a Sarah Reich! An assortment of A-list accompanists and vocalists provide the support that makes this something more than a novelty. Sax solos, trumpet blasts, boppish arrangements, drums and taps exchanging fours, and inter-track summaries by fellow tap enthusiasts make this all rather special. Sarah wants to be the first tap dancer to win a Grammy Award. Listen to Sarah's interview and jam with Scott Bradlee.